I've shamelessly shared the fact that I've got a thing for dorky trends. I've pestered my dad about chunky sneakers, waxed poetic about Birkenstocks, and have been rocking Hawaiian shirts on rotation this summer. So it should also come as no surprise that I'm ready to bring back the bucket hat. There's a picture of my 4th-grade self (that's seared in my mind still) with a tangled mane of blonde hair running all the way down my back and an ombré white-and-blue bucket hat from the Gap squarely on my head. Chalk it up to nostalgia or maybe the fact that I'm just plain practical, but lately, I've recommitted to wearing the hat, especially when I'm planning on spending a day in the sun (because what's better than a trend? One that's practical). Still, don't think that you have to be a dorky '90s kid (aka me) to want to wear the trend. I've seen my boss put an ethereal, sophisticated spin on it and my intern pull it off in a streetwear-chic way I'm probably not cool enough to re-create. The fact of the matter is that a bucket hat works no matter what your personal style may be. 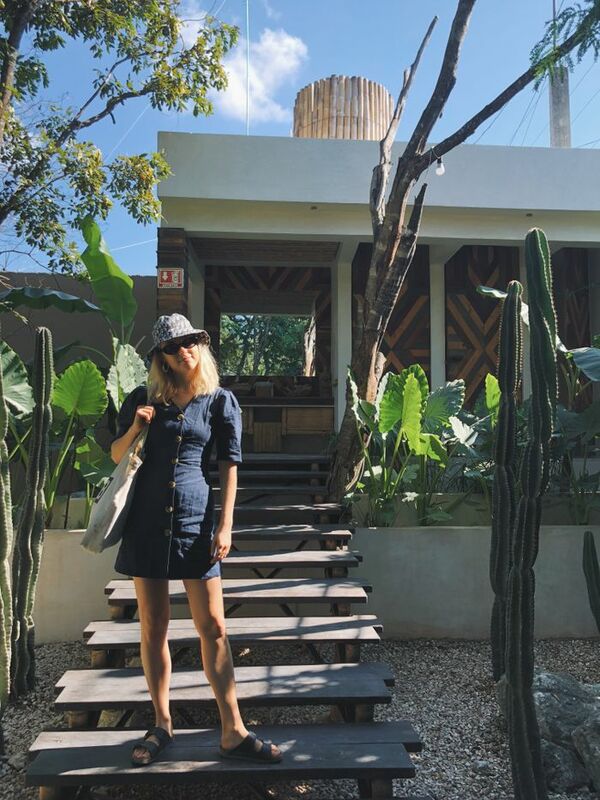 See the different ways we wear them and then shop my favorite styles below. 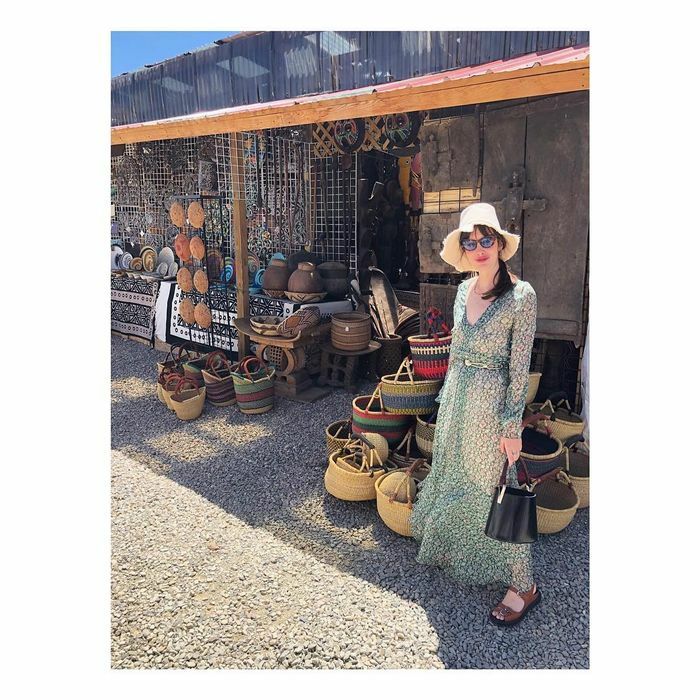 Here's my boss and Who What Wear's editor in chief, Kat Collings, in a magic hat while relaxing on vacation in a flirty Dôen dress and Rachel Comey sandals. Here's me beaching it up in my bucket hat. Think of it as a hybrid of practical and cool, which makes it perfect for a vacation or while hanging at the beach. Who What Wear's New York intern Erica embracing '90s-inspired style, wearing the bucket hat with Doc Martens, flared jeans, and a fanny pack. A little bit dorky, but a whole lot of cool at the same time. This pink hat is ideal for mixing and matching with a bold-colored ensemble of choice. Meet the '90s throwback style you should pair with relaxed jeans. A bucket hat for the recreationalist. The coolest way to wear gingham. If there was ever a preppy bucket hat, this is it. If Rihanna endorses it, it's worth it to be on board. If you own checkerboard Vans, this hat is for you. No one does a trend quite like Gucci. Tie-dye may not be for the faint of heart, but it sure looks cool. When you want to hit the beach and avoid a potential sunburn. A bucket hat you can wear during a summer rain storm. Are you ready to bring back the bucket hat? You've got plenty of options now!